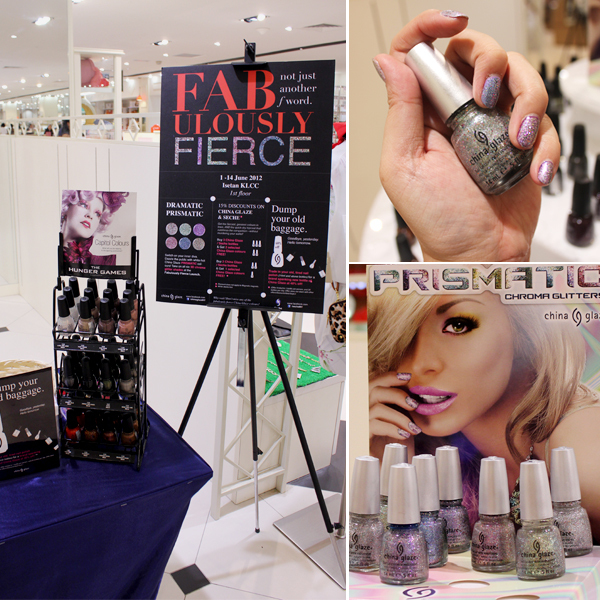 From my previous post on China Glaze now available in Malaysia (click here to read), I shall talk about the preview event of the China Glaze Prismatic Chroma Glitter collection held at their counter at Isetan, KLCC in June. 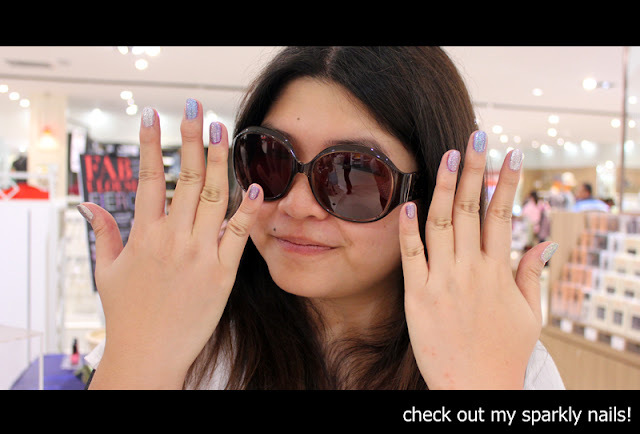 There was complimentary express manicure to try out China Glaze polish and promotions! Why I'm going ga-ga over these polish? You'll soon find out why my favorite nail polishes are always ones that bling! but first, again let me introduce to you China Glaze nail polishes. Now China Glaze is not from China (though I'm trying to find out where they're from, other than USA). The name derived from their unique lacquers contain China Clay as a nail hardener, the same material that gives porcelain its shiny finish. These glossy lacquers work in perfect cohesion with our professional nail treatments for lasting strength, durability and overall gorgeous nails. 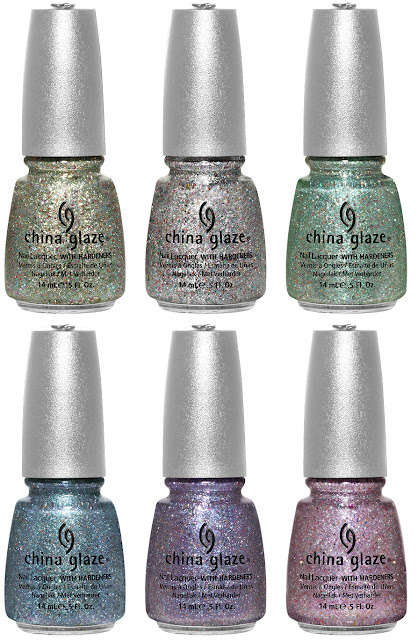 Q.Why is China Glaze so much better than any other product out there? A.China Glaze is one of the top professional nail care products available. Our unique, one-of-a-kind formula contains a special balance of polymers, to maintain color, shine and luster, and resins, to enhance flexibility and adhesion, that work together to create a nail lacquer that is chip-resistant, long lasting and durable. Wani joins in the glitter fun! Jeremy don't understand why we love nail polish! check out this video to see how bling the Prismatic nail polish is! The collection is inspired by the colors formed by the refraction of light through a prism (hence the name Prismatic) combining glitter and holographic particles to create the ultimate bling that catches the eye in a 3 dimensional manicure. see my nails in 5 different Prismatic colors! The preview was super fun and China Glaze will be having more and more activities and previews at their counter. Occasionally there will be sales in conjunction with Isetan Member's Day and I'm guessing hopefully they have more preview demos like this for everyone to try out. I love bling bling nails! and these babies lasted me 3 weeks until my next manicure. The shine is impeccable! >W< but u model cannot wear this kinda bling bling! thanks Fiona :D do invite me to more! Hi, I'm curious. what's the average price for China Glaze nail polishes in Malaysia?